Despite its permanent population of about 2,000 people, South Padre Island has plenty of restaurants and eateries for those who like to eat out. Among them are seafood places, franchises, American, Mexican, Chinese and Italian styled establishments, bagel and ice cream shops and BBQ and steak joints. The prices for an order of food range from several dollars to $30 bucks. But a new place to eat has been making its way on the Island’s gastronomical industry. People can now enjoy a bowl of fruit, a burger or a taco at the Island’s new food truck park. Three businesses are now serving such meals at the Island and could stay there if business is good. 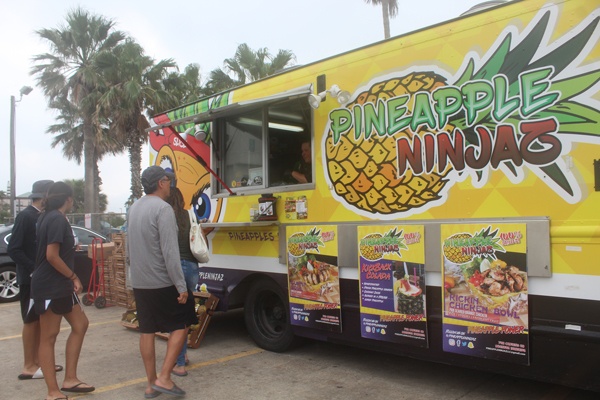 The food truck operators said they saw an increase in activity during the busiest two weeks of spring break but things are slowing down now that Texas Weeks are over.